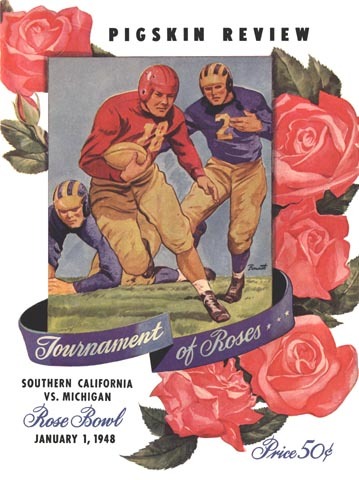 The 1947 Trojans were sailing merrily along in their often unbeaten style, until they ran into the twin terrors of Notre Dame and Michigan in their last two games of the season. These were the two dominant powerhouses of the immediate postwar era, and no other team in the country other than Army was a match for them. For the Wolverines, it was like deja vu all over again, as in their last Rose Bowl appearance in 1902 they had crushed Stanford by the same 49-0 score.